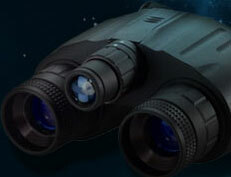 For close to 15 years Nightvision4less has specialized 100% in just night vision and thermal equipment. Our experience, product selection, great pricing, advanced website and personal customer service means one thing … the absolute best shopping experience anywhere! Our goal is to help every customer make a smart and informed buying decision, insuring that you will be confident that your purchasing the right tool for the job. We consistently deliver the highest quality gear in the industry, so you can rest assured that an optic from us is the best that it can be. Our site is loaded with current helpful information on night vision scopes, night vision goggles, night vision binoculars, and night vision monoculars. We also specialize in all thermal imaging equipment, such as thermal monoculars, thermal scopes and thermal clip-ons. We carry all major brands including Armasight, FLIR, ATN, Pulsar, Night Optics, Bering Optics, L3, and ITT Exelis/Harris. So take your time and check out our best selling sections and our education center, you just won’t find another site this complete and helpful. Among some of our best selling products are PVS14 monoculars hand select with 10 yr warranty, PVS7 goggles, BNVD dual tube goggles, Armasight Zeus thermal scopes, ATN Thor-HD thermal, FLIR Thermosight Scopes, FLIR Scout III thermal cameras, D740 scopes, D750 scopes, D760 scopes and D790 night vision scopes. If you feel more comfortable speaking to someone about your equipment needs feel free to give us a call. We understand it can be a difficult decision if you don’t have experience with the various types of devices. We would love to talk to you about your unique needs, after all unlike most sites we don’t just sell this equipment, we are actually night optics equipment enthusiasts with years of experience in the dark using our devices for everything from wildlife observation and hunting to home security and astronomy and almost anything else you could imagine. So if you want to be sure to get the right product, the first time, spend some time on our site or give us a call at 1-800-771-6845. Thank you for visiting our site. The NV4L team was a pleasure to do business with and took the time to give me great customer service over the phone before my purchase. After speaking with the NV4L representative I felt well-informed and actually saved money by taking their advice! I purchased one of their Hand Select products and they truly 'hand picked' a tube that was certainly a cut above the rest. I got a much higher quality image than I bargained for, thank you NV4L! Just came in.....incredible scope. Could not be more pleased with the entire experience. Eli and the entire were spot on and so helpful in helping me to pick the unit I got on the budget I had. Will buy and recommend again!!! Great job.